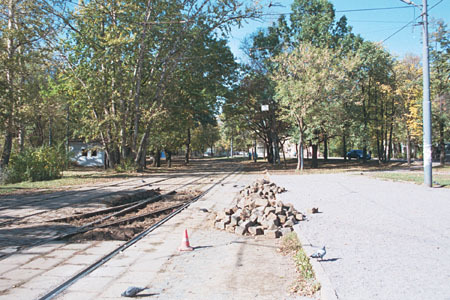 This reversing loop in the distant north-west of Moscow, built in 1944 as the terminus for a new line connecting Tushino aviation plant with the city centre, is located at the crossing of Svobody Street with Lodochnaya Street. The line was extended further in 1958 but this loop remains until today. It is used by shortened route 6K operating only in rush hours. 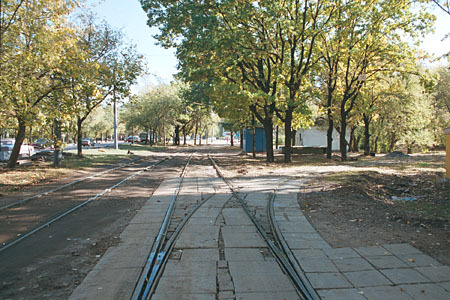 A westbound tramstop Vostochniy Most. As you can see, a regular track maintenance work takes place - the turnout will probably be replaced with a new one. The "home" points, looking from the west. While the main line continues forward, the loop line diverges to the right. 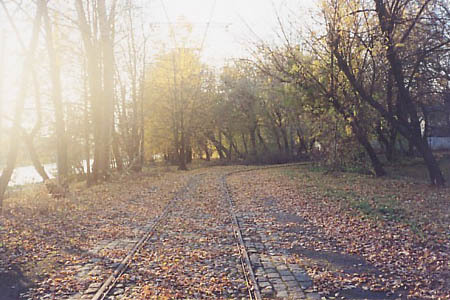 The loop is used occasionally (no regular route terminates here), so the rails are not as shining as the mainline ones. 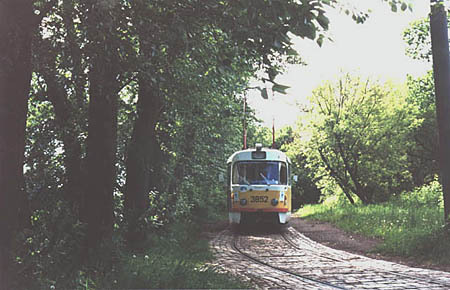 And here comes the tram: Tatra T3 #3852 is reversing at the terminus. 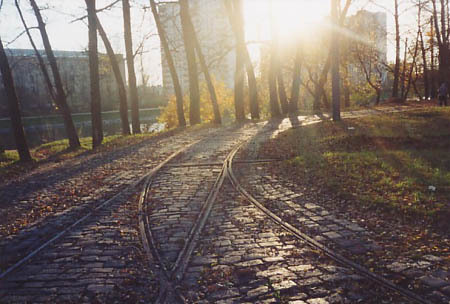 The exit points from the terminus in the light of the golden autumn sunset, with waters of the channel blinking behind the trees. 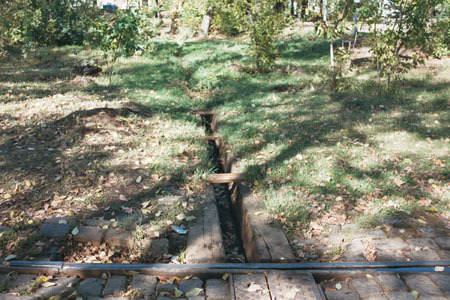 A rather antique water drain runs from the track to a nearby grass covered pit. 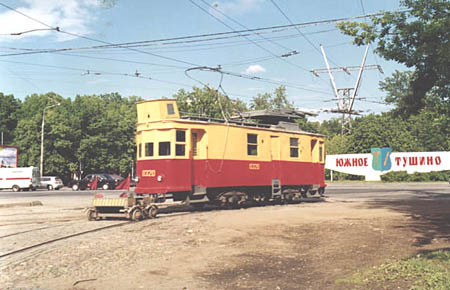 Another «visitor» of the loop, now the service car #0320 of Krasnopresnenskoye depot with a track cleaning trailer.